Within the framework of the reform of local self-government and territorial organisation of power, it is necessary to create a new model of territorial division into rayons in Ukraine. 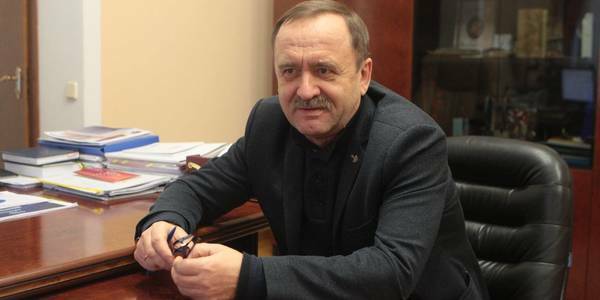 MinRegion is facing a task to determine rayon formation criteria, said Vyacheslav Nehoda, First Deputy Minister of Regional Development, Construction, Housing and Communal Services, in an interview to Ukrinform. “It's not entirely correct to talk today about amalgamation of rayons, because there will not be such a process that we have with hromadas. It is necessary to approve a new division of rayons through the Parliament, and this process has already started at MPs’ initiative. There are already 7 draft laws registered in seven oblasts (the Poltava, Chernihiv, Mykolayiv, Sumy, Kirovohrad, Kherson, Ivano-Frankivsk Oblasts). This suggests that the issue is long overdue,” said the First Deputy Minister. He added that following the Prime Minister’s instructions, with the support of the Council of Europe, the Association of Rayon and Oblast Councils models rayon division in the Donetsk, Luhansk, Kharkiv and Ternopil Oblasts. “It should be worked out in each oblast, and after the discussion the relevant draft laws have to be submitted to the Parliament. There will be either one draft law for all oblasts, or 24 draft laws for each oblast separately. This path is possible. Another thing is that we must do it no later than in the first half of 2020. On this new basis, the formation of the authorities with new powers should take place,” said Vyacheslav Nehoda. In the interview, he also specified the importance of new rayons’ formation.